Pink Paislee to offer their digital products exclusively at JessicaSprague.com beginning November 14, 2011. When we explored options for selling our designs in other digital shops, we knew right away that Jessica Sprague and her team were a perfect fit for us. Leading internet digital scrapbooking education website JessicaSprague.com has added Pink Paislee to their team of exclusive designers who offer digital scrapbooking supplies to customers. Established in January of 2008, Pink Paislee is a family owned business based outside of Kansas City, MO. They are known throughout the world for their original designs and strong attention to detail. They pride themselves in developing products that blend design and function to make scrapbooking and paper crafting easier. According to Jessica Sprague, owner of JessicaSprague.com, Pink Paislee is a leader in the field of both hybrid and paper crafting. 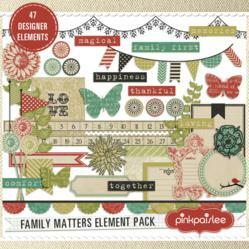 “Pink Paislee is one of the foremost companies in the scrapbooking industry, in terms of both style and popularity. We are thrilled that they've made the decision to partner with us." Choosing to partner with Jessica Sprague was an easy choice for the company. “When we explored options for selling our designs in other digital shops, we knew right away that Jessica Sprague and her team were a perfect fit for us. They have a dedicated group of team members who handle all service inquiries, technical support, marketing and sales and as an added bonus, they also connect us with an amazing group of creative team members that will create project samples to help us market our collections to new users.,” says Cross. Customers can expect to find paper packs, element packs, sticker packs, digital brushes, quickpages and more in the coming months. Some will be new and exclusive digital products while others will be developed from previous paper collections. Pink Paislee’s digital shop at JessicaSprague.com will open on November 14th. For more information about Pink Paislee, see http://www.pinkpaislee.com. For digital scrapbooking online classes, digital printable scrapbooking supplies, and free tutorials, visit JessicaSprague.com. JessicaSprague.com is the leading website offering online classes and products for digital crafters. Founded in 2006 by world-renowned crafter, scrapbooker, instructor and author Jessica Sprague, JessicaSprague.com provides professionally designed, video-based online classes in Photoshop and Photoshop Elements for customers interested in learning about digital scrapbooking, photo editing, mouse-and-paper crafting, and more. The site's mission is to provide instruction, inspiration, and products to help people grow their skills, beautify their lives, and enhance their relationships with the people that matter most to them. The Web site’s offerings include digital scrapbooking paper, digital brushes, digital element packs, lesson packs, weekly tutorials, and online classes in digital scrapbooking, mouse-and-papercrafting, photo editing, and more.